According to Reuters, it sounds like Facebook is changing its IPO roadshow on the fly. During its latest stop in Boston, Mark Zuckerberg apparently skipped the IPO pitch, leaving the question and answer phase of the meeting to COO Sheryl Sandberg. Zuckerberg wasn’t the only thing missing from this leg of the roadshow, the thirty-minute video the company prepared was also missing. Facebook is set to go public on May 18th, starting at around $30 per share. Facebook’s CEO was surrounded by cameras during his entrance into the New York City portion of the roadshow, which may have something to do with his absence in Boston. Naturally, potential investors want to meet with the person who has the most power in the company face-to-face, but if the roadshow becomes a sideshow, the distractions could get out of hand. One analyst, who did not want to be named, said no reason was given for Zuckerberg’s absence. Facebook was not available to comment and reporters were not admitted to the presentation. 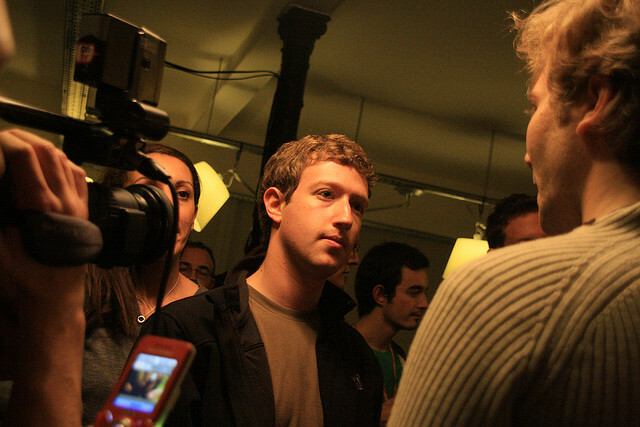 Previous reports stated that Facebook’s IPO could be delayed due to disinterest from Zuckerberg. Regardless of all of the pre-IPO-hoopla, Facebook is set to be the largest technology IPO ever, with interest coming from all over the globe. For those looking at today’s actions as the “wheels falling off” for Facebook, think again. We’re told that the original inventor of Facebook, Abraham Lincoln, was not in attendance either.